Sheer beauty! 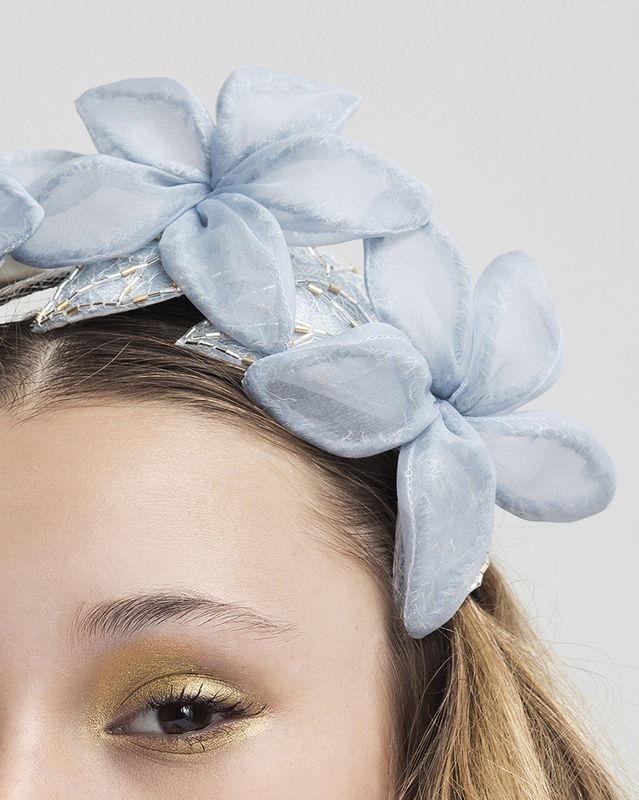 Hand crafted wired pale blue Organza flowers, positioned on a custom-made straw headband. Each flower is delicately designed and every petal can be adjusted. 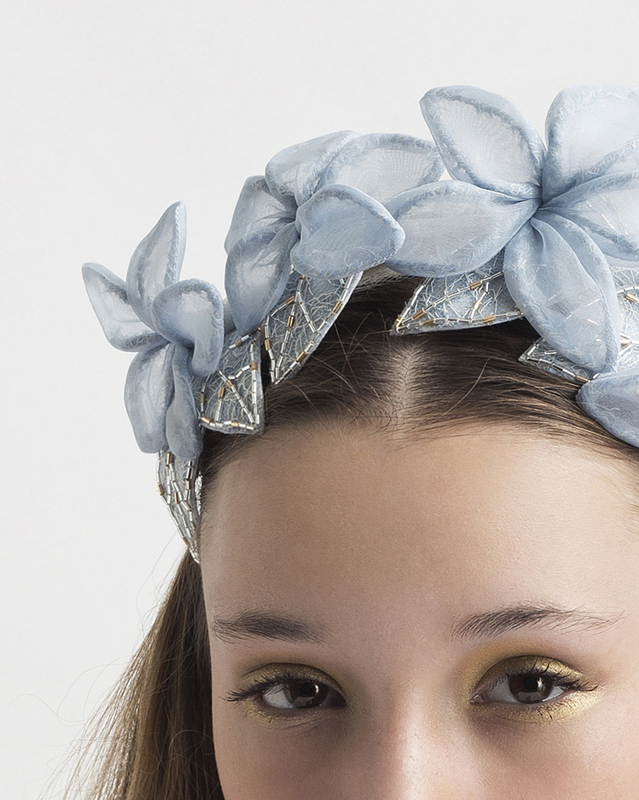 Embellished with special pale blue woolen leaves, beaded delicately with silver and a touch of gold. The flowers are in gradient size (some larger and some smaller) but are assembled symmetrically on the base, creating a harmonious look. 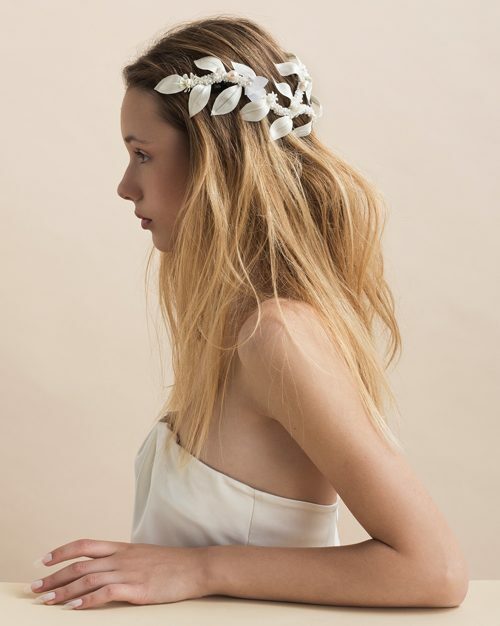 Thou considered a statement piece, the sheer flowers are super elegant and subtle. 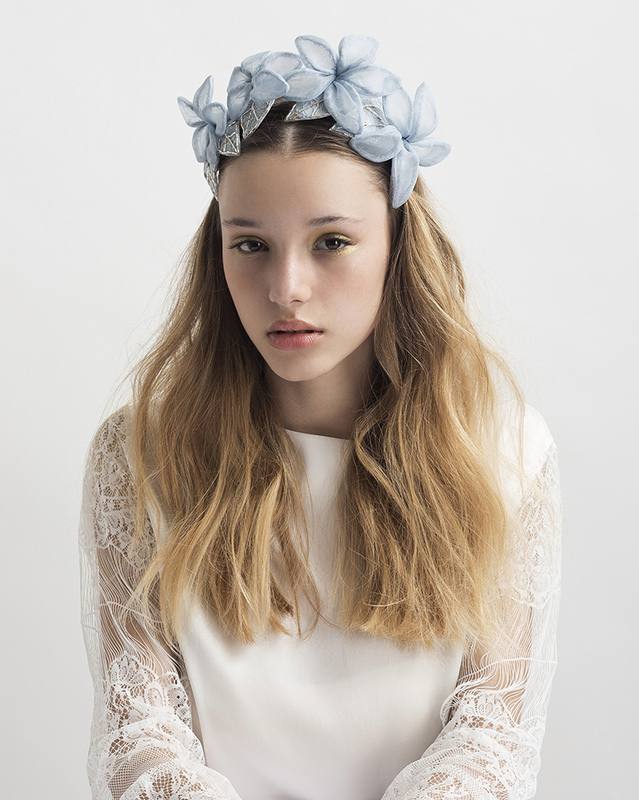 Perfect for a very light, clean and airy look. ** For ordering the ‘My Cold Heart’ in sheer white, please contact us.